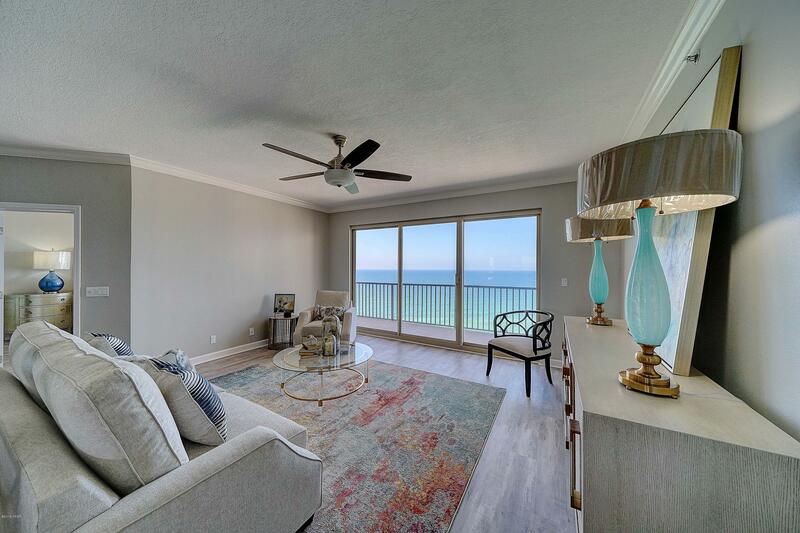 Stunning Summerwinds Penthouse now for sale in Panama City Beach! This 3 bedroom, 3 full bath condo with private garage has just been completely renovated from floor to ceiling. This is your luxury home at the beach! Summerwinds is a premier, gated, non rental community featuring your own private garage, 2 pools (1 heated), gulf front community room and workout room. Take advantage of panoramic views the moment you open your front door. Enjoy the perfect layout, including a gulf front master bedroom with gorgeous master bath and walk in closet, an open floor plan, and large balcony, all with beautiful views. The second and third bedrooms include updated private baths, one with gulf views, and the other with views of Grand Lagoon. This is a must see condominium home - Call Today!